See calendar for more events. Welcome to the Department of Geological Sciences at C.S.U.F!! I invite you to explore these pages to learn about our department, including our student-centered courses and the incredible research our students and faculty are doing locally, regionally, and around the world. 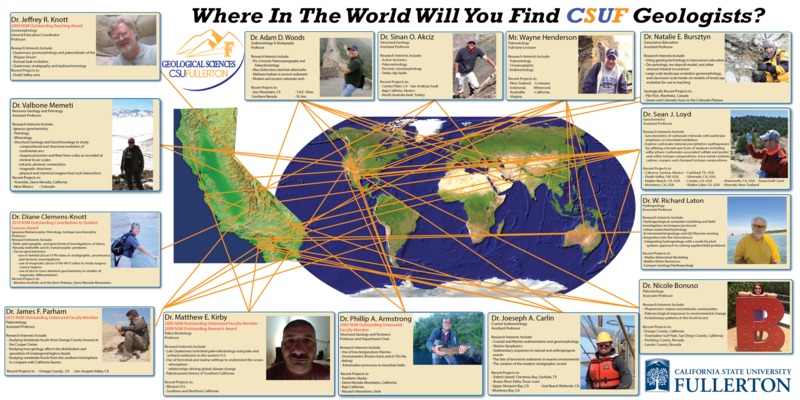 Check out the “Where in the World” poster that shows where you might find C.S.U.F. geologists. What programs do we offer? Well, we offer two undergraduate degrees – B.S. in Geology and B.A. in Earth Science, an M.S. in Geology, and a minor in Geology. Nearly all of our courses include high-impact field and/or lab learning environments with ample opportunity for original student research. Both our B.S. and M.S. in Geology require an intensive thesis. Our B.A. 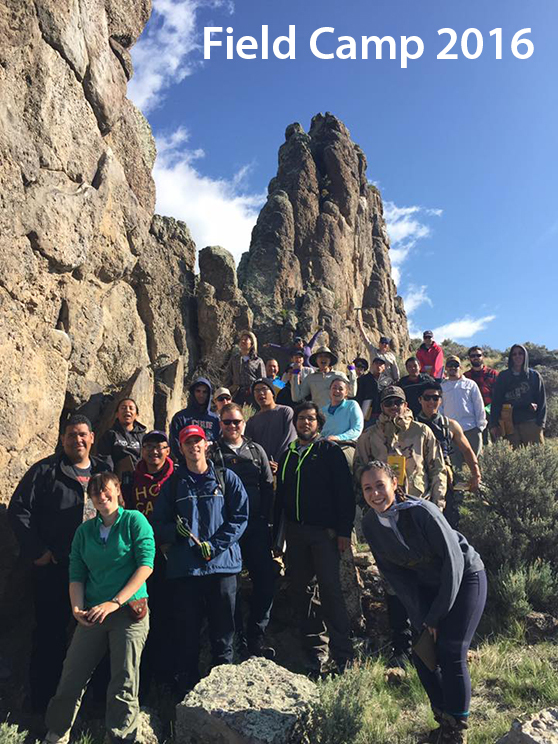 in Earth Science is designed to offer maximum flexibility to enable students to choose a set of courses that align with their academic and career goals. As our well-established alumni could attest, C.S.U.F. geology graduates continue to be highly sought-after by both employers and grad schools.